This furniture polish is made from natural olive oil orange oil and water. Light and easy to use it cleans and beautifies wood. 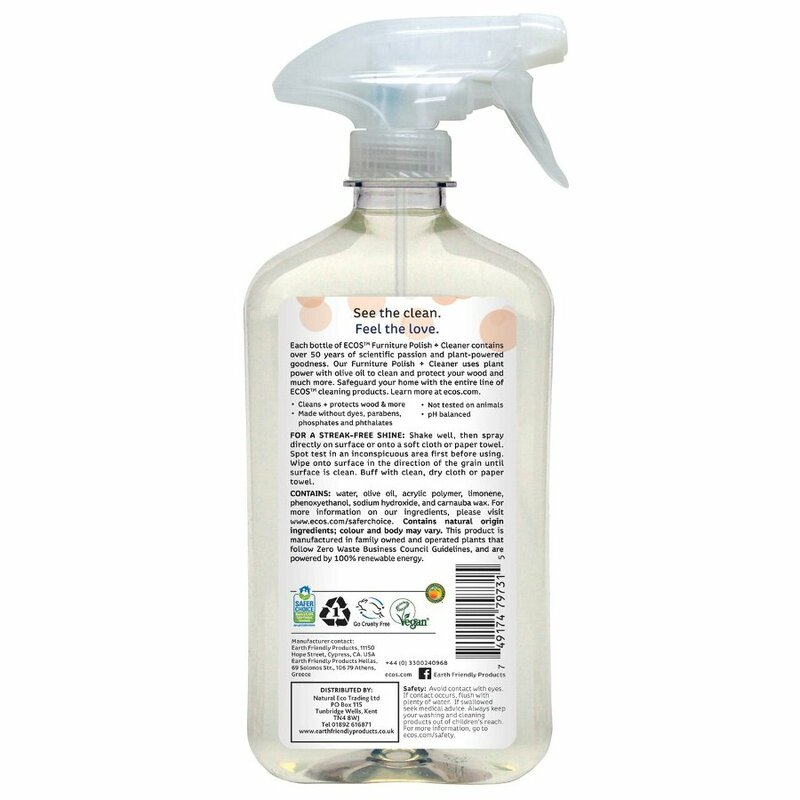 To be used on wooden and other hard surfaces. water, olive oil, acrylic polymer, limonene, phenoxyethanol, sodium hydroxide, and carnauba wax. 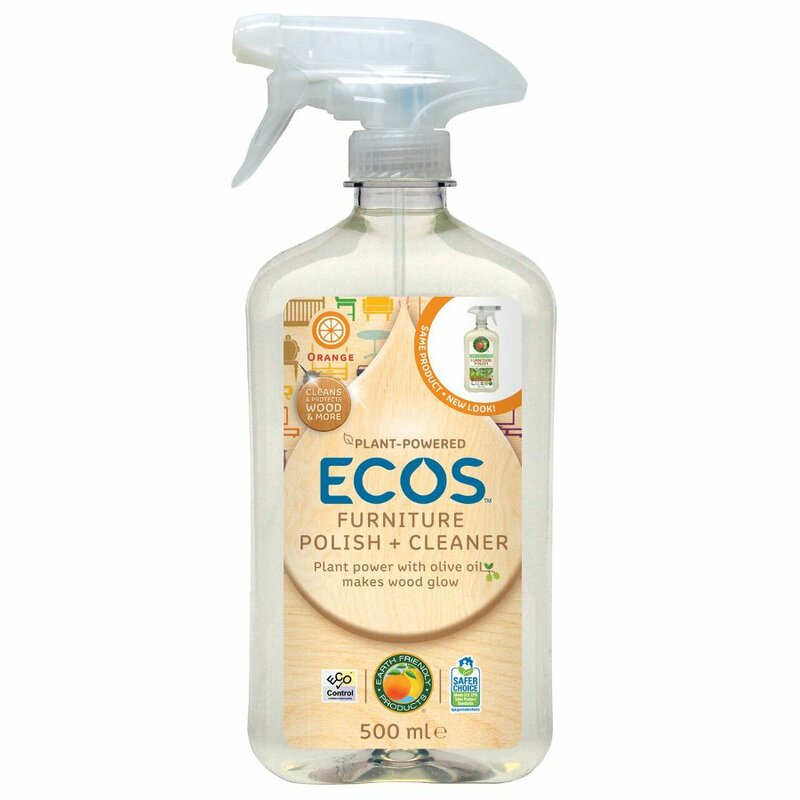 There are currently no questions to display about ECOS Furniture Polish & Cleaner - 500ml.